The Jurassic Park blockbuster movie was an unstoppable hype machine in the mid-1990s. This means there were Jurassic Park video games on just about any game system you could imagine back then, including arcades, NES, SNES, Game Boy, DOS, 3DO, Mega Drive/Genesis, Game Gear, and even the oft-forgotten Sega CD. While the Sega CD version might be my personal favorite, BlueSky Software’s Genesis version is a close second. 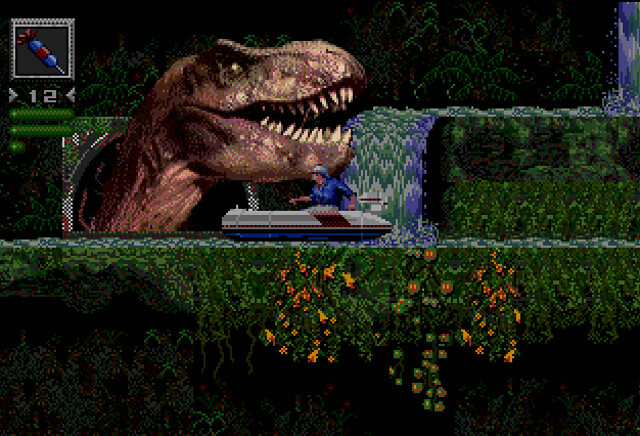 In it, you take on the role of Dr. Alan Grant and platform your way across a chaotic, dinosaur-filled park. It’s not very long, but it’s brutally unforgiving — filled with faith jumps and lacking anything resembling a mid-level checkpoint — and it culminates in one of the most obscure platform puzzles I’ve ever encountered. To mitigate the difficulty level, there was a password system, so even when you ran out of lives you weren’t completely out of luck. But even better than that, you could take out your frustrations by playing as the prehistoric death beast known as the velociraptor. The game struck a chord with players who, like me, had read the Jurassic Park novel by Michael Crichton, which the film was based on. 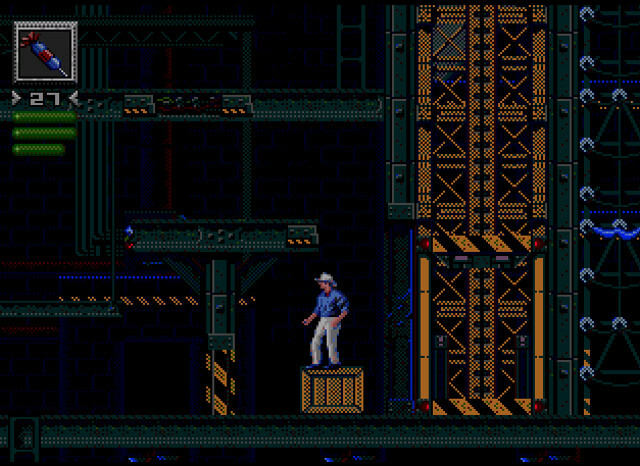 It featured several stages pulled straight from the book, like Power Station, The River, and Pump Station. 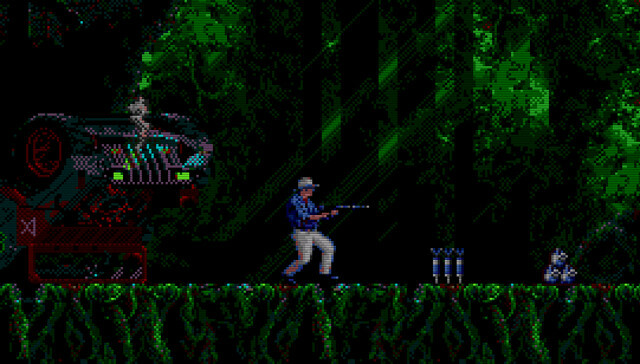 Since some of my favorite scenes in the book never made it into the film, it was a special treat to see some of them appear in the Genesis game. A huge part of what made this game special was the heap of love that was poured into its creation. The art team was led by Doug TenNapel, who would go on to make Earthworm Jim a year later. In order to understand dinosaur anatomy, the art team was forced to endure the dissection of a real chicken (at the behest of paleontologist Robert T. Bakker — more on him later). Many of the dino sounds were lifted straight from the film, so the screech of a velociraptor and the hoot of a dilophosaurus were unmistakable. The dinosaurs didn’t just look and sound good; they were also intelligent. They may not seem so by today’s standards, but in 1993, the team at BlueSky was pushing the envelope with technology they called ADI (Artificial Dinosaur Intelligence). 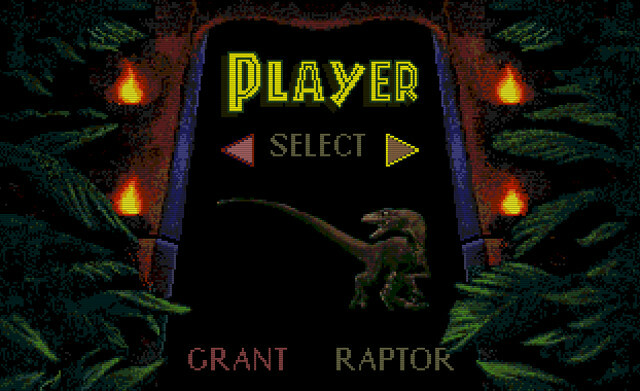 The dinos in the game were given several different possible behavior patterns, and the game would choose them at random. (The raptors in the game had up to a dozen possible reactions.) This made each encounter feel like an interaction with a living creature rather than a pre-programmed video game enemy. At the time, at least. The guy in this ad is paleontologist Robert T. Bakker, whose role in the Jurassic Park franchise was fundamental. See, besides this goofy ad, he also dished out dino-facts in the Sega CD game and instructed the designers of the Genesis game in dinosaur anatomy (yes, he’s the guy who brought the chicken). And that’s not all; Michael Crichton’s novel relies heavily on theories Bakker was a proponent of (like the idea that dinosaurs were warm-blooded), and Bakker served as an adviser on the Jurassic Park film. To top it all off, the character Dr. Robert Burke in The Lost World movie was based on him. 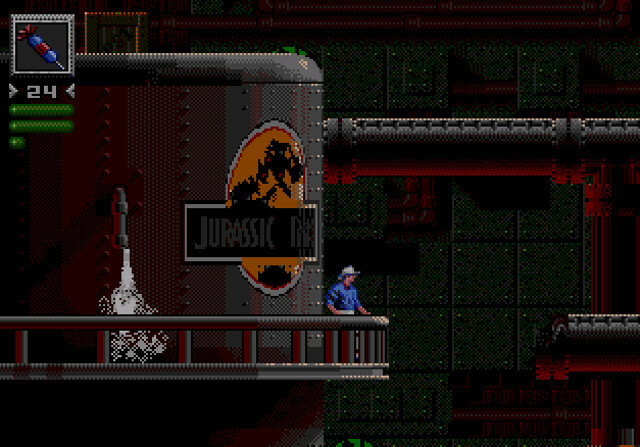 The Jurassic Park game for Mega Drive/Genesis included just about everything a good JP game should have — well-designed dinosaurs, smart enemies, references to the original novel, and a smattering of Bakker’s influence. Looking back, it’s hard to deny that it was a product worthy of the Jurassic Park name, despite a few unfortunate flaws, and that BlueSky ended up delivering a pretty impressive product. It’s just too bad they followed it up with Jurassic Park: Rampage Edition, which Mean Machines Sega magazine rated 59/100, calling it “a good idea, but poorly implemented.” And I have to agree with them; Rampage Edition was kind of a bummer.